DMBOK® Guide is written by 40+ authors and reviewers and draws on 10,000+ hours of experience in most relevant domains of digital marketing. Moreover, since Digital Marketing is a fast-changing field, the book is upgraded every year with relevant concepts. Digital Marketing Body of Knowledge (DMBOK® Guide) aligns with other aspects of marketing such as Marketing Strategy, Marketing Research, Corporate Sales, Branding and Advertising, and Retail Marketing. So, it provides a holistic view of how Digital Marketing can help the overall sales and marketing efforts of a company. 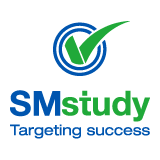 SMstudy® has also authored the bodies of knowledge for Marketing Strategy, Marketing Research and Corporate Sales. Digital Marketing program (which can be accessed through computers or VMEdu mobile app). This course includes 400+ hours of high quality videos, illustrative case studies, review questions, study guides, flashcards and more – and provides several insights into how DMBOK® Guide can be effectively used in real-life digital marketing situations. Other than the content in the DMBOK® Guide, Subject Matter Experts and authors have contributed to the SMstudy® subscription through 350+ video courses and 1000+ hours of content on multiple subjects such as Google Analytics, Email Marketing, Facebook, LinkedIn, Pinterest, Twitter etc. This provides additional learning opportunities for students interested in gaining indepth knowledge about specific areas of Digital Marketing. Several students prefer to learn through physical classes and enjoy the interaction with expert faculty and other students in a class. SMstudy® has developed all the study material to teach a 2-day boot camp or a 40 hour physical credit program on Digital Marketing these can be taught by faculty in colleges, corporates or training companies. The physical classes include PowerPointPowerPoint presentations, case studies, examples and more: to ensure that students learn from their faculty, and can apply the theoretical concepts learnt to real-life situations. Note that faculty may also modify the SMstudy® physical classroom material to teach bespoke classes – e.g. a 2 week (16 hours) programs or a 60 hour course. Marketing. Introductory certifications are available for students with no experience in digital marketing; while expert level certifications could benefit persons with significant experience in sales and marketing. All professional, specialist or expert level certifications include an online proctored exam, 6 month access to a high-end online comprehensive learning program to prepare you for the certification, and the certification after you pass the exam. SMstudy® Digital Marketing program is industry agnostic and provides a framework to compare and evaluate all available digital marketing channels (such as websites, mobile or social media channels) and determine the most relevant avenue for digital marketing relevant for the business (such as Google, Facebook, LinkedIn, Youtube, Email Marketing, Search Engine Marketing, Search Engine Optimisation, Affiliate Marketing etc.). After the SMstudy® Digital Marketing program, students can understand how to effectively evaluate multiple digital marketing channels and come up with a digital marketing plan suitable to the specific needs of their company which maximizes the company’s Return on Investment(ROI); and aligns with the company’s overall corporate strategy and marketing strategy. The DMBOK® Guide and SMstudy® courses have multiple industry-relevant examples and case studies to explain all theoretical concepts. These examples and case studies can be applied across industries and in any country. SMstudy® Digital Marketing Framework focuses on the 3 R’s of Digital Marketing – Reach, Relationship and Reputation. Reach emphasizes on how to get more people to the Digital Marketing channel and make more people aware about your product, website, mobile app or social media channel – this is measured by metrics such as persons visiting website, mobile app downloads, brand awareness etc. Relationship helps ensure that customers are better engaged and build a relationship with your brand – this is measured by parameters such as time spent on website, number of pages visited, bounce rates, cohorts and repeat usage etc. Reputation focuses on ensuring that the brand perception is positive and reinforces the positive messages – this includes proactive customer feedback and analysis, website and social media analytics, brand reputation management etc. VMEdu is a global leader in adult training, and our courses and certifications have been taken by 500,000+ students in 150+ countries and 5,000+ companies. DMBOK® Guide is available for free. Also students can do a free Associate Level Certification course in Digital Marketing and understand the basics of the subject.